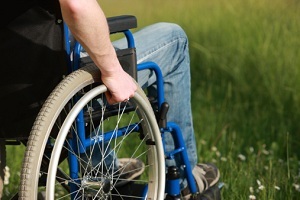 How long can a disabled child get get SSDI? Many parents of disabled children are concerned with what will happen to their child’s disability benefits when the child becomes an adult. When a disabled child turns 18, they must meet adult disability standards to continue receiving their Social Security Disability benefits. These benefits are awarded based on the applicant’s work history, and eligibility depends on how much taxes the applicant paid into the system previously. Because a disabled child may not be able to work, they can receive benefits based on the parent’s work history if the above requirements are met. Call the social security lawyers at 512-454-4000 for help. But what if your adult child has never been able to work, and therefore does not have the necessary work history? There are still options available so that your disabled adult child can continue receiving the benefits they need. If you want to ensure your adult child keeps getting their Social Security Disability benefits, contact the experienced Texas disability lawyers at Bemis, Roach & Reed today. Social Security Disability (SSD) benefits are awarded to people who can no longer work due to disabling medical or mental conditions. There are many conditions that may qualify someone to receive these benefits. However, just having a certain condition is usually not enough to start receiving benefits. An applicant must prove through medical evidence, such as doctors’ evaluations or medical records, that their condition is expected to last at least one year and severe enough to prevent them from working. Additionally, the applicant may have to prove that their condition meets certain criteria for the condition to be considered a disability. They must have have a parent who was receiving Social Security retirement or disability benefits, or a parent who died but who worked long enough under Social Security to receive benefits. Child’s benefits for adult children can be especially helpful if your child has never worked. Because a disabled child may not be able to work, they can receive benefits based on the parent’s work history if the above requirements are met. If your adult child has worked, they may be eligible to receive SSD benefits based on their own work history. However, benefits based on the adult child’s work history may be lower in some cases than benefits granted on the parent’s work history. At the Law Offices of Bemis, Roach & Reed, our experienced disability attorneys understand why SSD benefits are so important for you and your family. We understand the complicated application process, and we can use our experience to help you. For over 20 years, our disability attorneys have served Texans in Austin, San Antonio, Houston, Galveston, Corpus Christi, Central Texas, and the Dallas/Fort Worth Metroplex. It is important to not wait to apply for benefits. If you are interested in applying for SSD benefits for an adult child, or for yourself, contact Bemis, Roach & Reed now for a free initial consultation.